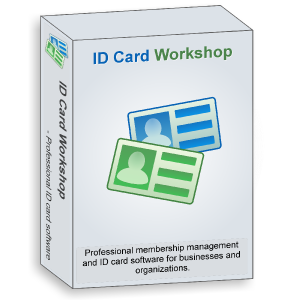 ID Card Workshop Team has released ID Card Workshop 3.3, an powerful but affordable membership management and ID card making software for Microsoft Windows. The new version of ID Card Workshop added some new features which targeting to SMBs and budget-limited users: first feature added to ID card workshop is Avery Business Card Paper Supports - allowing users to print their id cards with Avery business card papers, which can be easily found in supper-market, which reduce the costs further. the second feature is magnetic stripe encoding - enabling users to create magnetic stripe cards with their id card printers(require magnetic stripe encoder installed). Beside the new features, a bug which causes a database connection error in 64bit system also have been fixed. Unlike other high priced solution, ID Card Workshop provides overall low cost solution for SMBs, budget-limited users and organizations. It helps users not only reducing the first acquisition costs but also the ongoing operating costs. To achieve this goal, ID Card Workshop provides a pay-as-you-go licensing system and low-cost solution for ID card making and card verification. Pay-as-you-go Licensing System: users can pay when they need to use the software. a 30 day subscription license allows users pay for the software monthly, the price is as low as $14.95/month! Low-cost Solution: With its inbuilt full featured membership management feature, you don't need to buy another software to manage your member data. Also, it supports 1D barcode(Code 39), 2D barcode(QR code) and barcode scanner and with the webcam capturing feature, which enables users to build-up their own all-in-one membership management, member enrollment, cards issuing and cards verifications system at low-cost!